What's all the black stuff they are laying down RP? 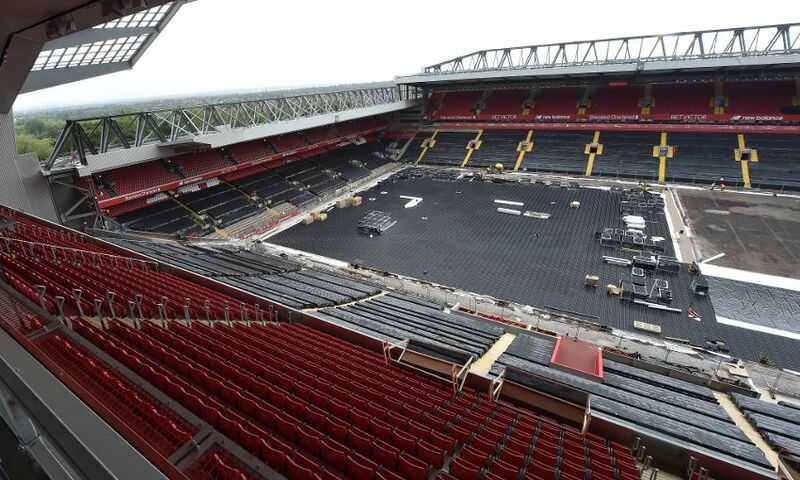 Most likely a drainage system to carry away rain water & to stop ponding on parts of the pitch..
With 2017-18 fast approaching for Liverpool FC, the pitch at Anfield is undergoing improvements as the Reds prepare for their first home game of the season against Crystal Palace on August 19. 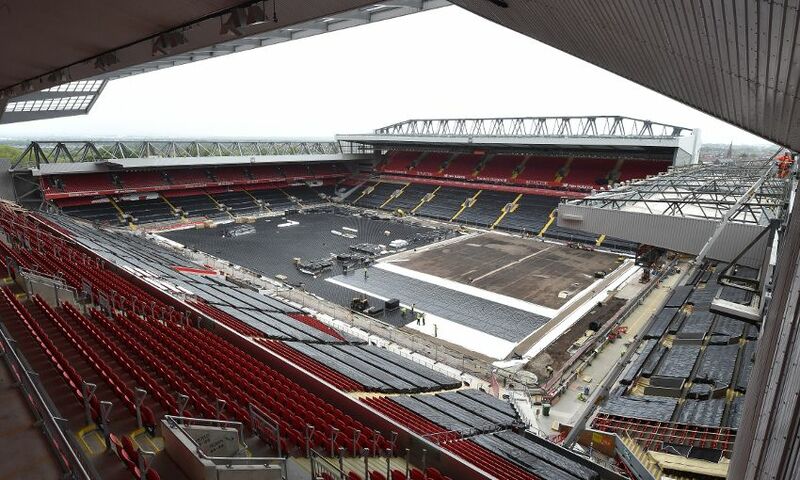 Ground staff at Anfield are working on the summer project to improve the playing surface and overall quality of the pitch ready for the new campaign. The changes will see a new automatic irrigation system installed to help improve drainage from the pitch. It will allow the surface to be watered prior to kick-off in under three minutes. 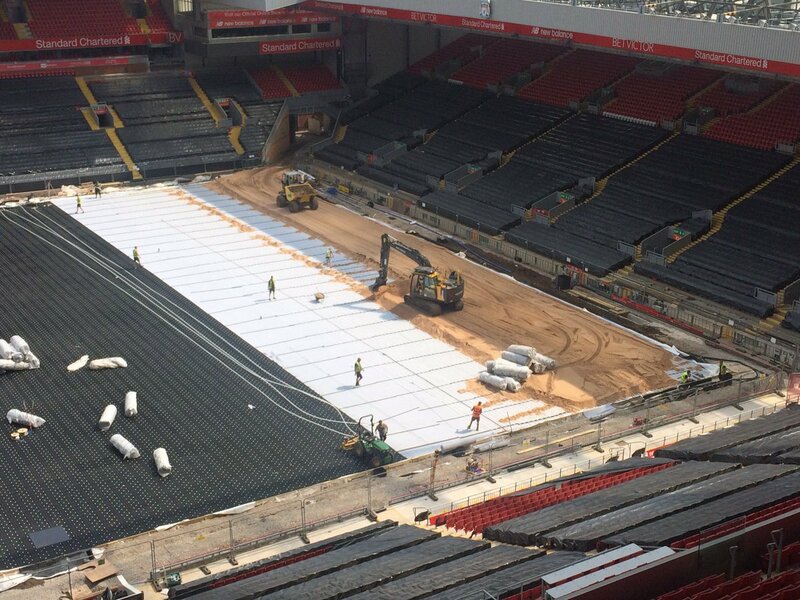 Anfield will also be the first stadium in the UK to fit the unique 'Permavoid' irrigation system which will speed up drainage, especially in wetter months. 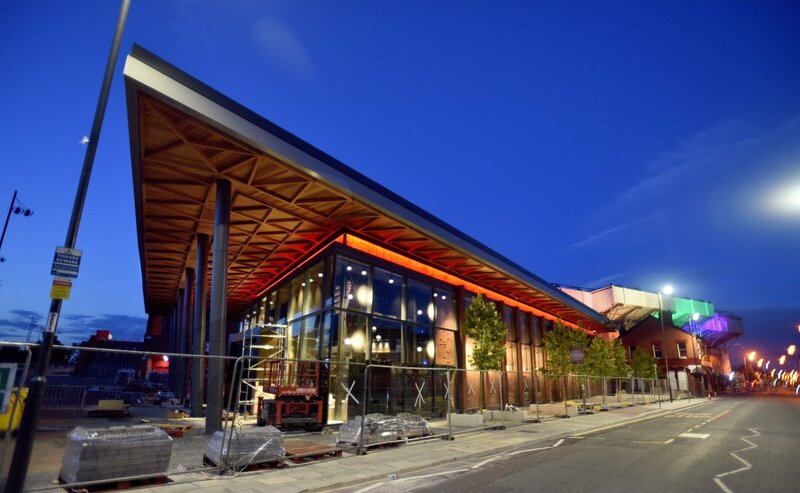 In addition, a new undersoil heating system has been put in place which will help aid growth and also prevent the ground from freezing during the winter months. As part of the undersoil heating system, over 19 miles of pipeline has been put in place to ensure optimum conditions for maintenance and grass growth. Eight heat and moisture sensors have been installed to help monitor the best growing environment for the pitch. Over 40,000km of artificial grass fibres will be stitched into the layers of sand beneath the pitch, which will be composed of 97 per cent organic grass and three per cent artificial grass fibres. 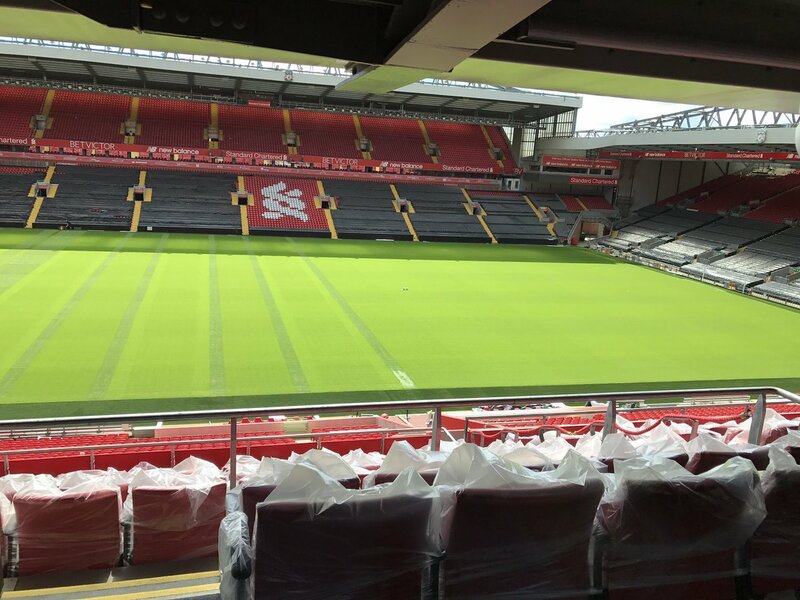 On the pitch renovations, Andrew Parkinson, LFC’s operations director, said: “We have a number of significant projects ongoing across the stadium during the summer months. The pitch renovation is a major piece of work which the whole team are really excited about ahead of the new season. 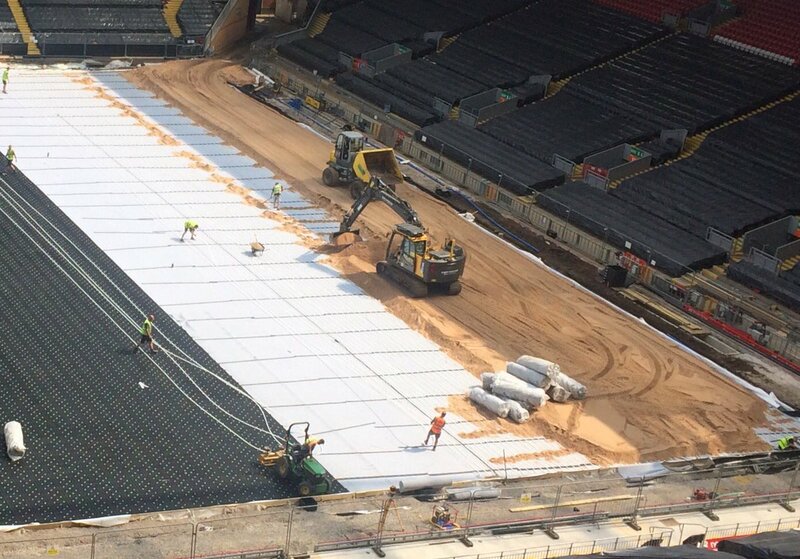 Over 19 miles of pipeline has been installed under the pitch as part of Anfield’s new undersoil heating system. 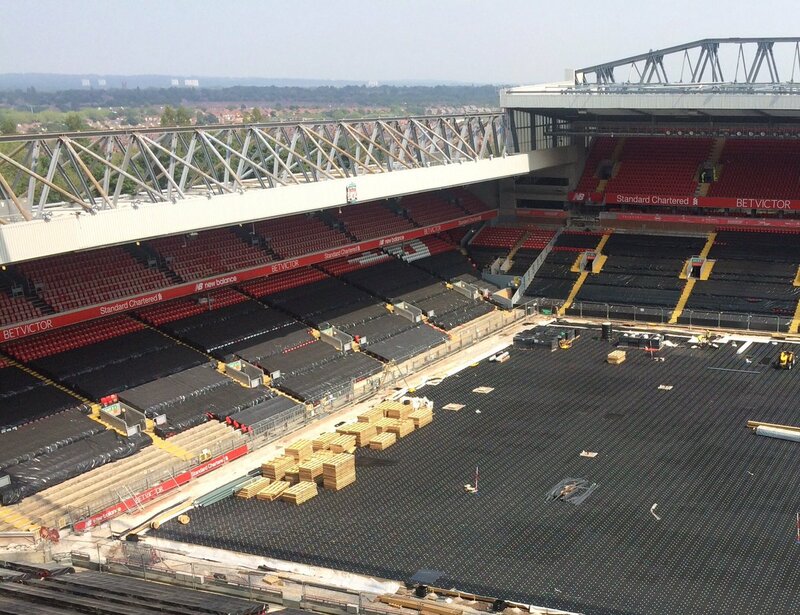 Specialised installers will inject over 20 million individual artificial turf fibres into the pitch at Anfield. Over 40,000 km of artificial fibre will be stitched into the pitch during the renovation – the equivalent of the Earth’s circumference. 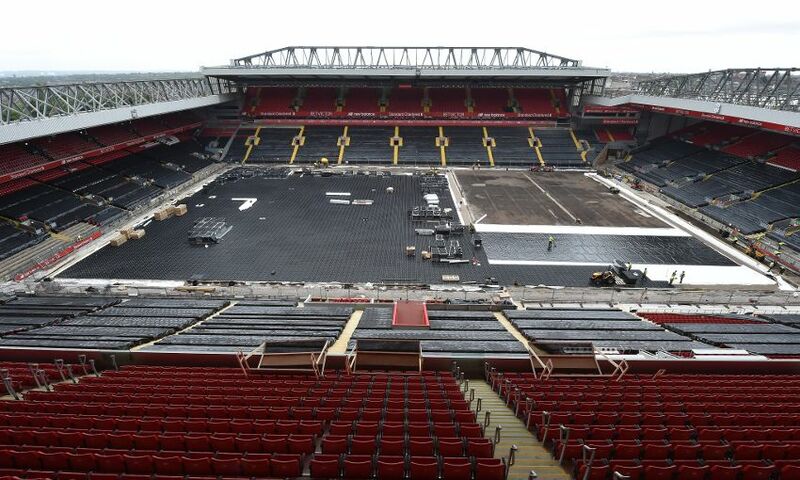 Over ½ ton of grass seed will be sown into the pitch at Anfield. This in turn will produce approximately 250 million grass plants. Each grass plant typically has around five leaves meaning that players will be playing football on approximately 1.25 billion individual blades of grass. The club uses Dwarf Perennial Ryegrass which is the strongest and most hardwearing grass for sports pitches. 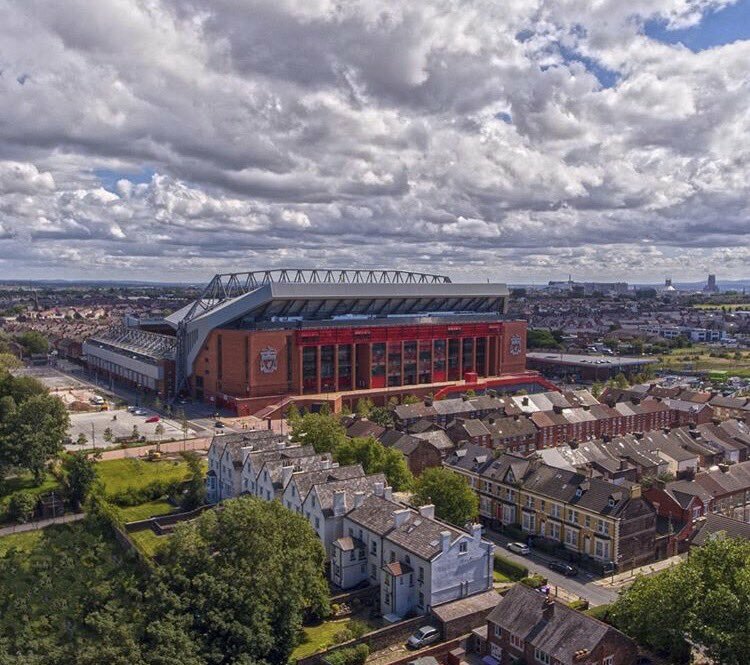 There are approximately 1,000 types of Dwarf Perennial Ryegrass around the world and our ground staff use four of the best cultivars to grow Anfield’s hallowed turf. 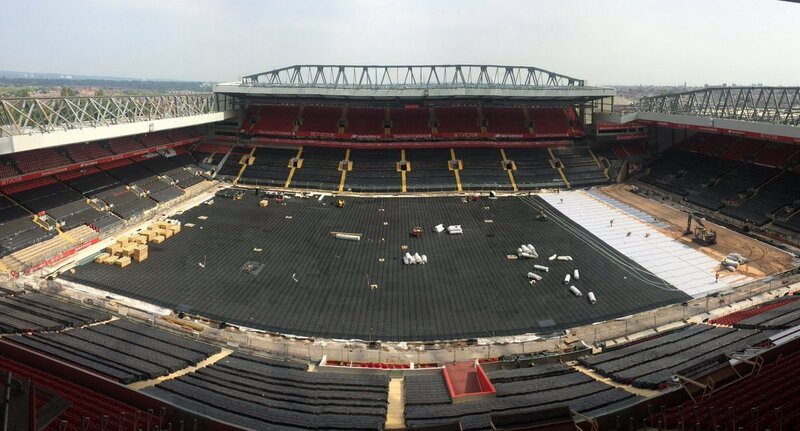 Once grown, the pitch at Anfield is cut and tended to daily. Ground staff use 12 large grow lights and three small grow lights to cultivate the grass on the pitch. One grow light includes a tent which is can be used over the goalmouth where the temperature and humidity can be controlled to speed up growth. Interesting article, seems like we are going to be a world leader in pitch innovation and technology. Blimey, 40,000 km of fibres to be stitched in. Thanks for sharing the pics mate. 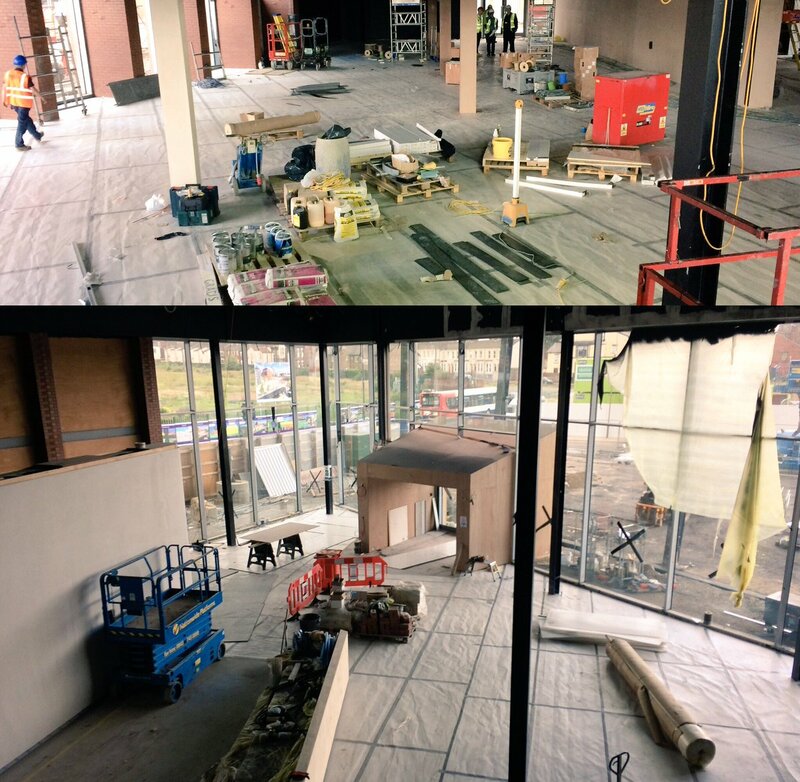 Good to see the work that's now going on in the club shop/'store'. 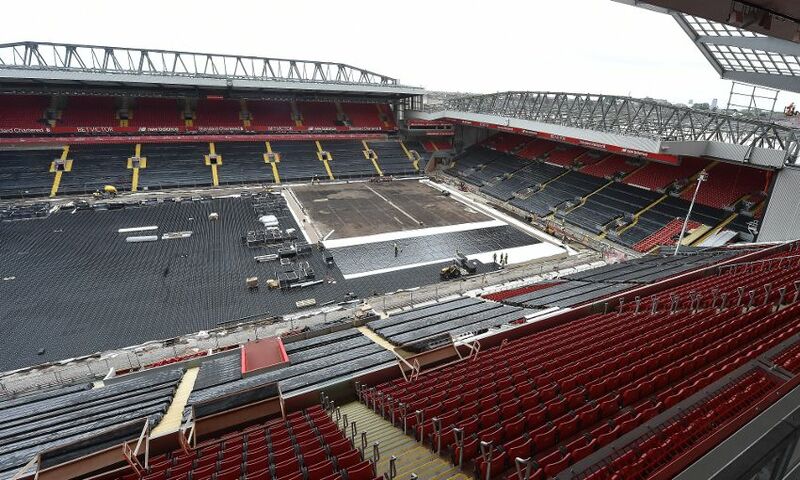 Crazy the level of work involved in it, hopefully it give us a good advantage with a 'faster' pitch. I'd like to know who much this has cost. Certainly a few bob. Bet is was a million plus. 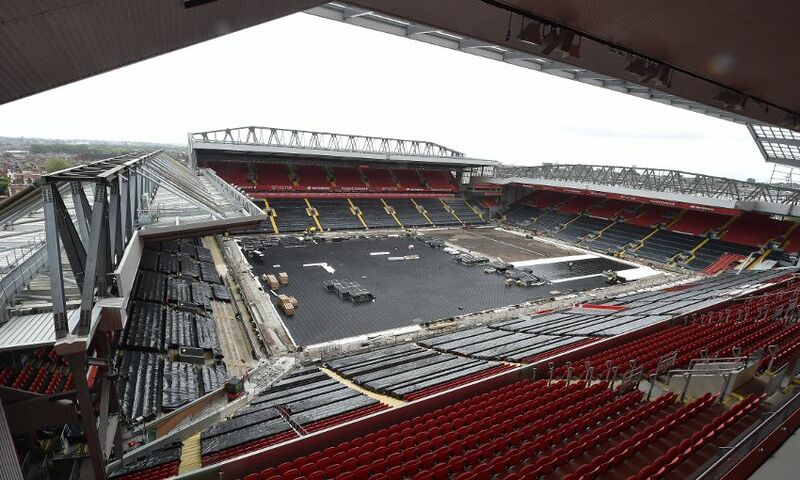 Can literally spot my season ticket spec in the black covered seats in the kop in that photo. At least it'll be clean then. Actually, I wonder if you can book it for a Christmas works night out? They used to, but it was on the Centenary side. Excellent, is it gonna get booked in the morning? Clearly see the new shop. 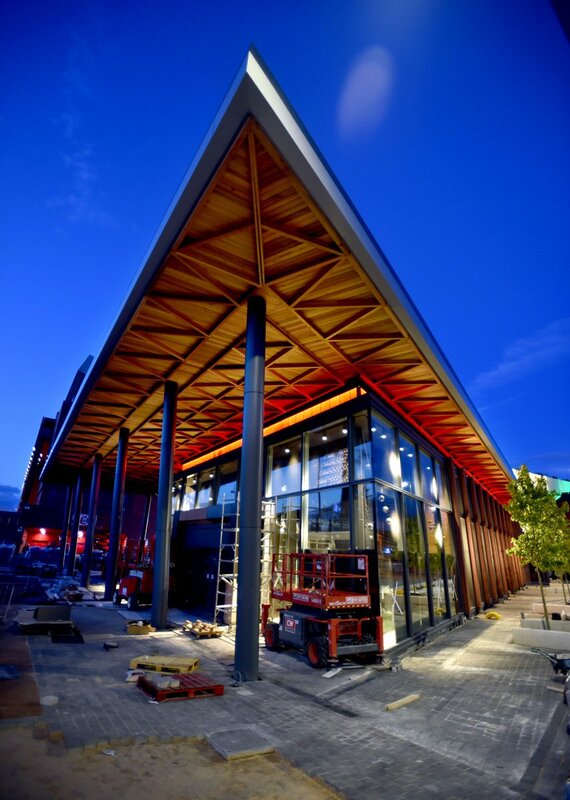 'Photo not really showing the work still needed to do on the periphery, but still a good image.